Shri Shri Thakur has not used the word “Acharya parampora” in any of his Vani’s. Still many disciples talk on this topic time to time. It needs to be understood what is so-called Acharyo-parampara and what exactly Shri Shri told on this subject. প্রশ্নঃ–– ইষ্টের অবর্তমানে ইষ্টভৃতি কোথায় পাঠাতে হবে? সৎসঙ্গ ফিলানথ্রপি বা তথাকথিত কোন সঙ্ঘে ইষ্টভৃতি পাঠাতে শ্রীশ্রীঠাকুর কোথাও বলেননি। বলেছেন কি? Ripon Das joyguru. Thanks. Actually, ami sune chilam je SriSriThakur sthula sharire thakakalin naki ekmatra 'protiritwik, sahaprotiritwik, jotiritwik' kora jeta. ar SriSriThakur ekmatra Ritwik. e kotha amar thik mone parchena kothay porechi ba shunechi. tabe satta naki mitha ba mongara ta biswas korata amar abar ekti jaigay atke thake seti holo kona proman i.e. reference. tai kindly, would u help me to have this kind of thing? Ripon Das Ritwiker baparta to bollen na. ha, apni eri moddhe bujate chaichen. kintu, dada, ami satti ekjan gondamurkha ar mathamota chele. ektu saralvabe bujie bolben ki? ami abar oi ritwiker bapartai jante chachi. Ripon Das that's fine. I like this.......thanks for ur this kind of sacrifice. Do u support "guruparampara"? Krishna Chandra Chakraborty - Das tahole tanke mukkha arthat prodhan na kore amra tanr chele ba bangshadharder nie kena eta lafalafi ar bastasamsta hochi? tanr to onek swapna ar koranya kormakanda roye geche. kena eigulute amader monajog nei. ami satti satantravabe bolchi. esab ki hoche. je satsanger unity nie gorba kori ta ki veste jabe? ami ekhan alochana prasange porchi ja Shradhya Tapas da amake sangraha kore die kirtarta korechen. jaihok, ekhan pacham khanda running. ami jatai porchi tatai jena ek atal tale probesh kore amrita pan korchi ar nutantar gyan lav kore chalechi. kintu bartamaner kormakander sathe kothaw mil mone hoy pachina. karo dwara impressed ba convinced na hoy ekti susthu samadhan jena amra korte pari ei protya nie ki amra sabaike parampitar kaje jukta korte parina. cholun na vaie vaie ei bisambad vule tanr swapner satsanga andolan arotara sambegshali kore tuli...........joyguru. Mrinal Pal Bidyut-da r pic ami post korechhilam jate bhokora thakur poribarer sob member der kotha jante paren jemon kajol-da (thakur's son still alive) ananya-da (kajoldar chhele), chhoto-ma so on. Ei pic er upor onek discussion hoyechhe I am happy over this. Many thanks. Jai Guru to all. গুরুপরম্পরা কথাটা নিয়ে ইদানীং খুব বেশি চর্চা হচ্ছে। আমি যেটা বুঝি সেটা হল আমাদের সন্তমতে সাধনা করার জন্য জীবন্ত সদ্গুরু সামনে থাকা চাই। শ্রী শ্রী ঠাকুর বলেছেন আর স্বামীজী মহারাজ-ও বলেছেন। জীবন্ত গুরু ঠাকুর পরিবারের ইষ্টনিষ্ট যে কেও হতে পারেন। not necessarily the eldest or seniormost person of the family. Mrinal Pal Shri Shri Thakur acharya paramporar kotha tanr banite bolechen. Just follow the person who carries the blood of Shri Shri Thaukur and who is passionately devoted to Isto. He never talked that only eldest or seniormost of the family will be eligible for this. He gave only guidelines. On this point His way differs from the traditional Santmat (R.S. faith which originated in Agra). We are supposed to follow the path indicated by Thakur. Some follow Shri Shri Dada, some other follow Shri Kajol-da, some follow shri Ananya da and so on. 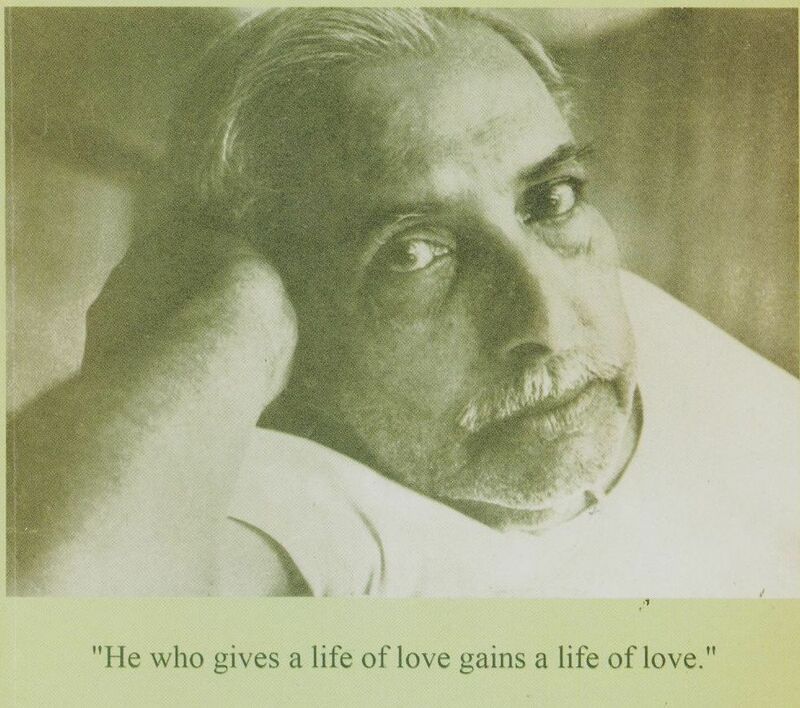 I feel all are correct if follow the saying of Shri Shri Thakur on Acharyo parampara. This Acharya Parampara through which people can still very much feel Sree Sree Thakur, their Supreme Beloved, alive and beautiful and His grace still flowing magnanimously and unhindered, is the very source of the life that one feels pulsating on coming here at Deoghar—among the people, the nature or everything one sees here. 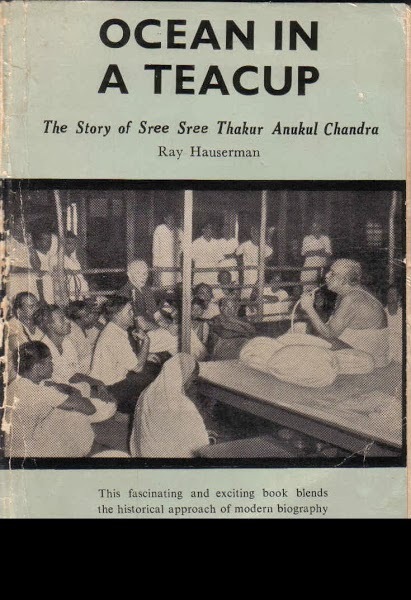 It is the presence of the Acharya and the descendants of Sree Sree Thakur dedicated to serving Him and fulfilling His mission and the sentiment of the people towards them that keep Satsang animated, vibrating and very much throbbing with life."